Dubai, June 14, 2018: Al-Futtaim ACE is celebrating Eid with 25-75% off 25,000 product lines available both in-store and online. There are also plenty of activities in-store to keep everyone entertained including a Henna artist and balloons and face painting for kids and lots more. Balloons: all stores including Dubai Festival City, Sheikh Zayed Road, Motor City and the newly opened store at Ibn Battuta in Dubai, Yas Island, Mina Road and Dalma Mall in Abu Dhabi and Bawadi Mall in Al Ain. 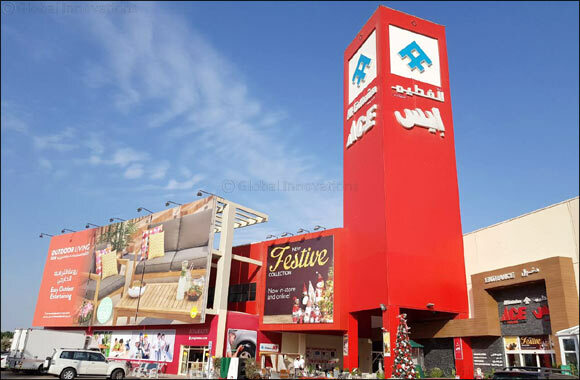 Al-Futtaim ACE stores offer a wide selection of Outdoor Lifestyle, Gardening, Home Living, Paint & Décor, DIY, Automotive and Pet care products. With more than 33,000 great products, Al-Futtaim ACE offers world-class brands such as WILKO, Karcher, Black & Decker, Makita, Clark + Kensington, Weber, Gardena and Leisuregrow. In addition, all stores also have a popular Value range which has a host of quality products at everyday low prices. Al-Futtaim ACE also offers a wide range of electronic and electrical product in association with Plug-Ins. Customers can take advantage of the recently launched Price Match Protection which matches prices of branded products available at Al-Futtaim ACE to prices for the exact same make, model and specifications of products in the market, including at online retailers. Matching bundle and promotional offers are also included, and the promise extends to all brands in store, including at ACE’s store-within-store Plug Ins brand.